Winding cobblestone streets, ancient churches, medieval squares – even a royal palace. It’s all here in Gamla Stan, Stockholm’s Old Town. Dating back to 1252, it’s one of Europe’s biggest and best preserved medieval centers. 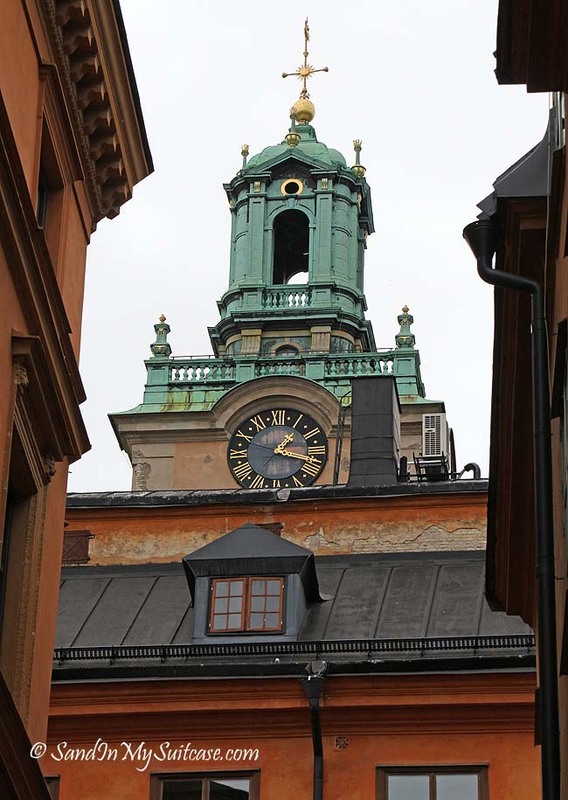 And a Gamla Stan walking tour is one of the first things you must do when visiting Stockholm! 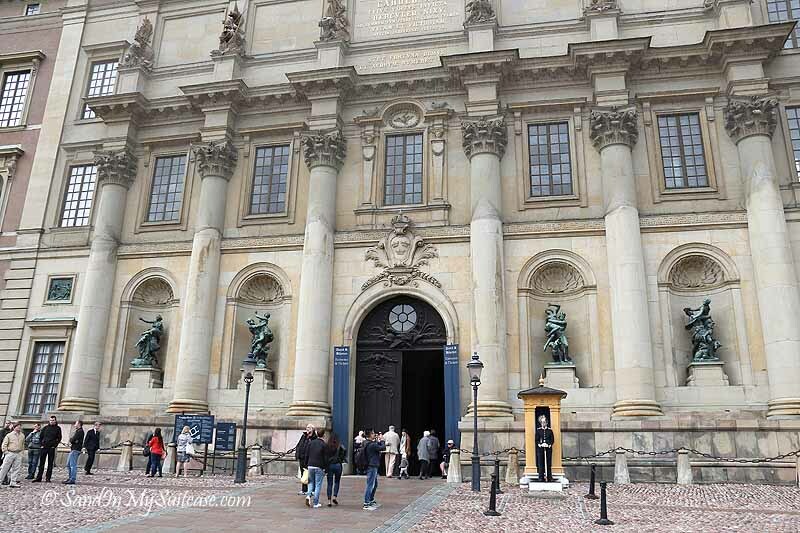 Photos of our Gamla Stan walking tour – Stortorget, Royal Palace, etc. 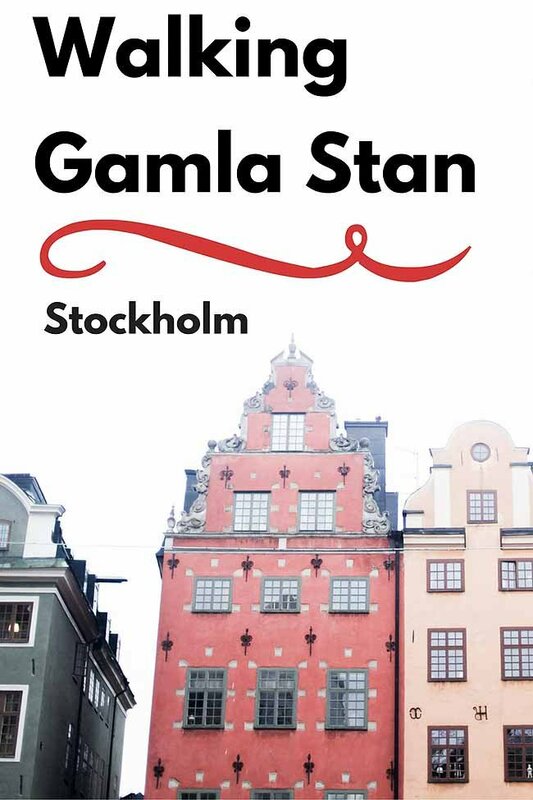 Stockholm travel tips – Guided free walking tour of Gamla Stan, Stockholm Pass, where to stay in Stockholm, etc. We’d flown into Stockholm for a Baltic cruise a few days earlier so we could enjoy some “pre-cruise” time exploring the city. And so, armed with our trusty Rick Steves’ Northern European Cruise Ports guide, we set off on foot to explore Gamla Stan. Pin the above picture to Pinterest! Then continue reading :-). 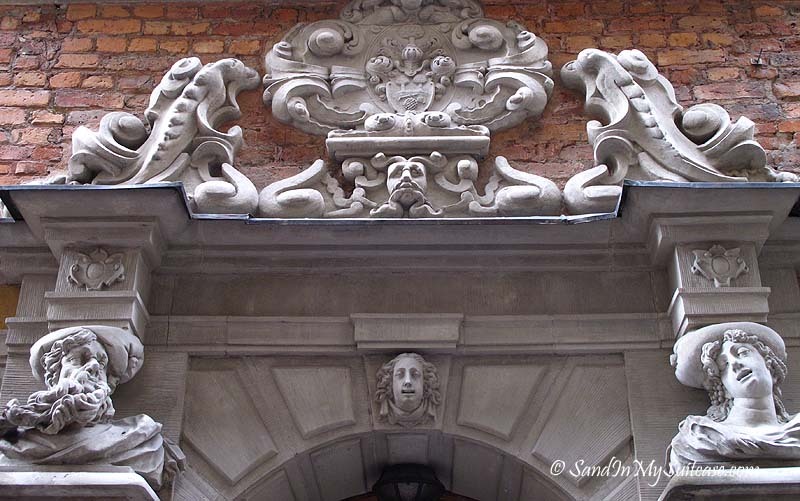 Here are some photos – in no particular order – of our walking tour of Gamla Stan. Visiting Drottningholm Palace is a fabulous day trip from Stockholm – read about it next! While we tried to follow Rick Steves’ Stockholm walking tour of Gamla Stan, we got lost anyway (just as we have in other higgledy piggledy medieval towns like tiny Trogir and the 1,700-year-old palace city of Split). 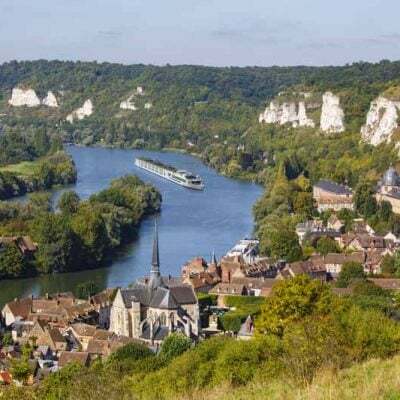 But that’s part of the fun of exploring these old European towns, isn’t it! Stortorget (or “the Big Square”) is the oldest square in Stockholm. It’s lined by beautiful buildings and houses dating back to the 17th and 18th centuries, once owned by wealthy merchants. How skinny can a street be? Pretty skinny! 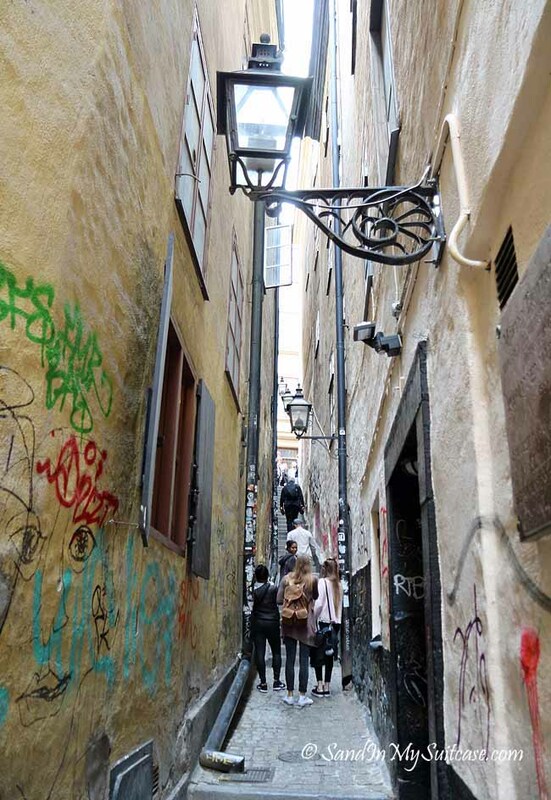 The “Alley of Marten Trotzig” is the narrowest street in Stockholm – a mere 35 inches wide. 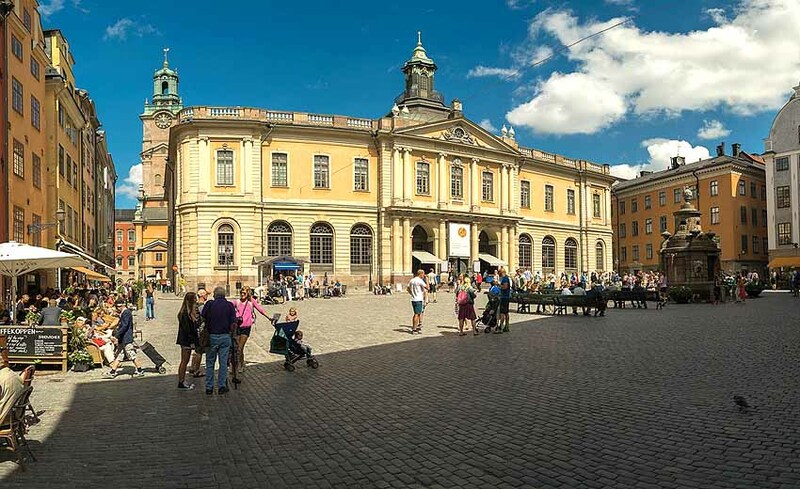 Built in Baroque style, the 18th century Royal Palace is the official residence of the Swedish monarchy (but the reception rooms, treasury and other rooms are open to the public). 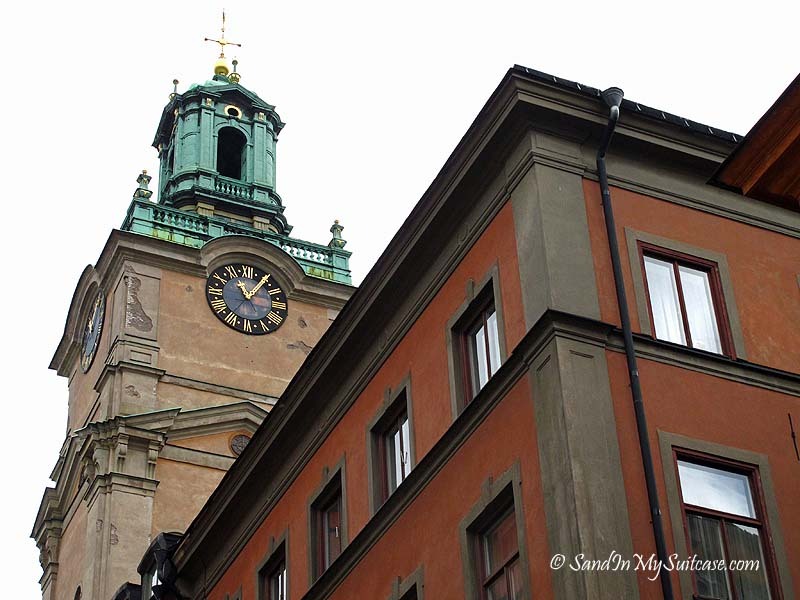 Near the Royal Palace, Storkyrkan (literally “the Great Church”) has been around for as long as Stockholm. On top is the clock tower, built in 1743 – at 216 feet tall, it’s hard to miss! 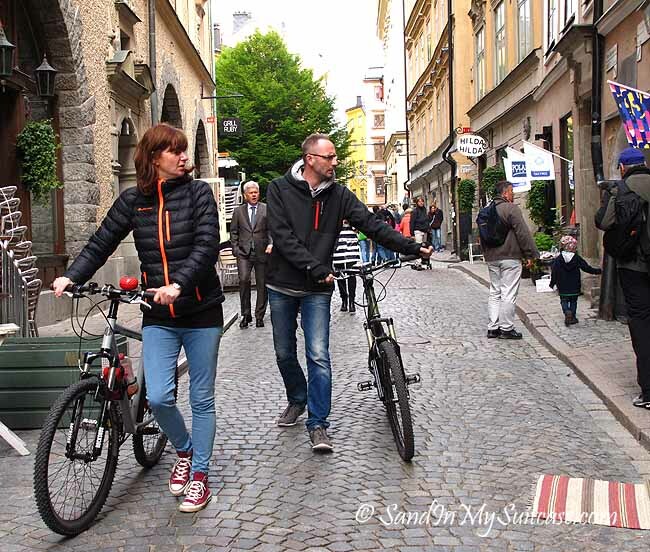 Gamla Stan itself is more geared to walking, but Stockholm in general is quite bicycle-friendly. And we noticed several people with bicycles. Apparently there are more moose per square mile in Sweden than in any other country. 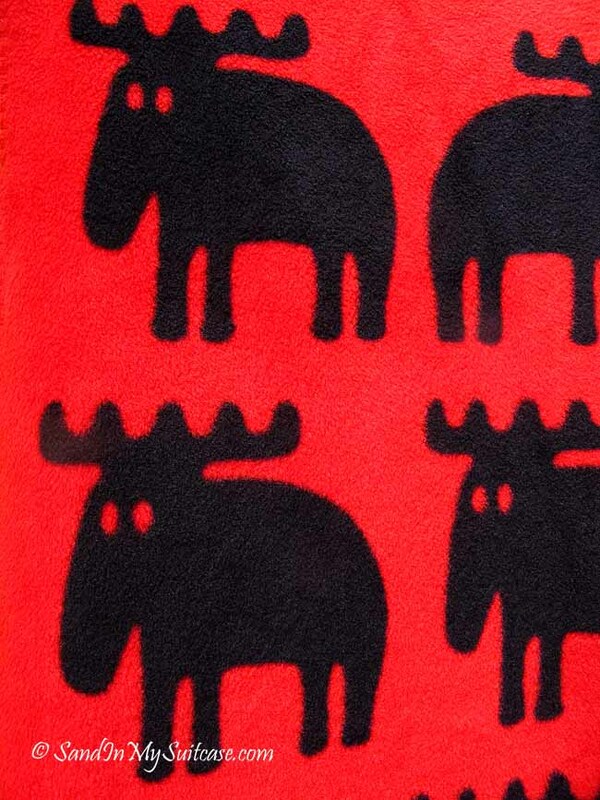 That probably accounts for why moose memorabilia are popular as souvenirs – like this blanket decorated with moose pictures. 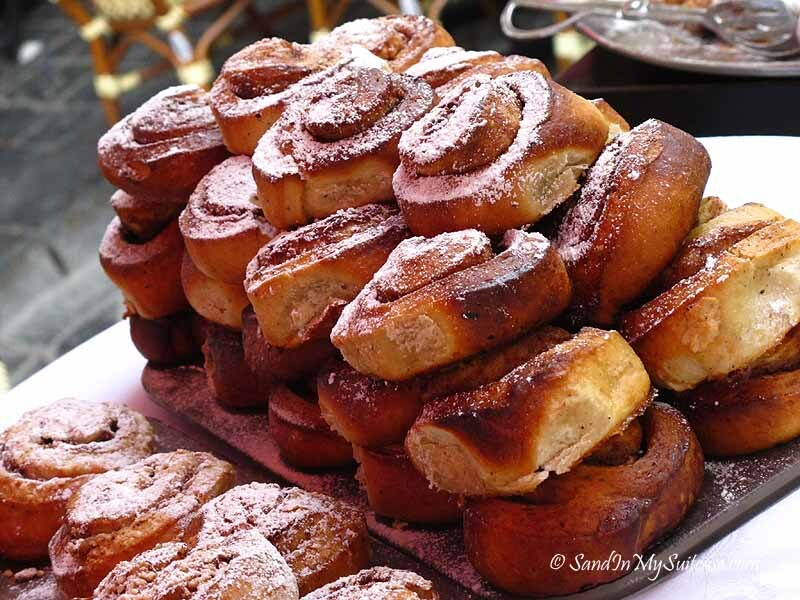 Fika (pronounced “fee-ka”) is essentially Swedish for taking a break for coffee and a pastry, perhaps a cinnamon roll or vanilla bun. Of course, we indulged in the Swedish custom too and stopped for fika while walking Gamla Stan. 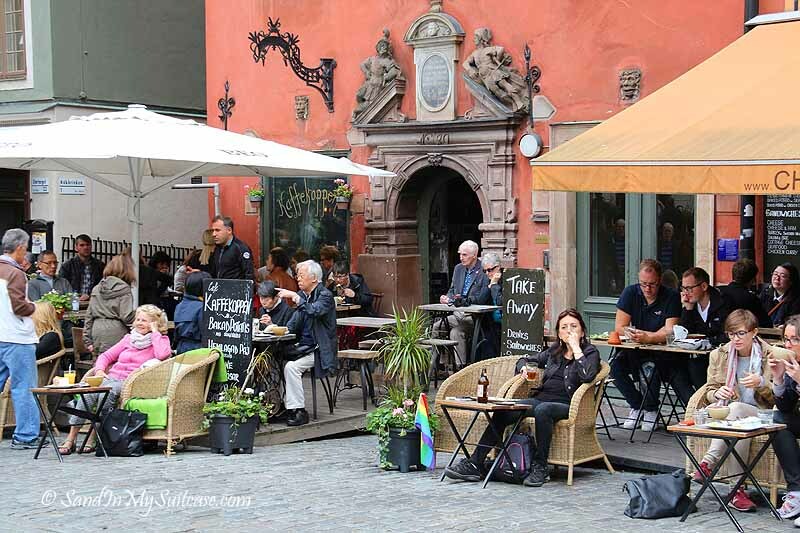 Indeed, eating and drinking is popular in Gamla Stan! And there are many tempting restaurants if you want more than just fika. You might want to buy a Stockholm Pass, the sightseeing city card that gives you free entry to over 60 museums, attractions and tours. Other attractions available through the Stockholm Pass include the Vasa Museum (which showcases the mighty Vasa ship recovered from the mud after it sank in 1628) and a boat trip to Drottningholm Palace (where the Swedish royal family still live) – both of which we enjoyed. Overlooking one of Stockholm’s harbors, our base was the Hotel Diplomat, originally built in 1911 as an Art Nouveau palace – lovely! We pre-booked a chauffeur-driven car with Blacklane to take us from the airport to our hotel. Blacklane is a professional driver service that contracts with a network of licensed drivers in over 50 countries. Surprisingly, the rate was only slightly more than what a taxi would have cost, but we had the added comfort of being met at the airport in a strange city. We were fortunate we were visiting in September, at the end of Stockholm’s tourist season – we didn’t encounter the crowds we understand can gather in summer. Can’t blame them though… With its lakes and fingers of waterways, Stockholm is crazily beautiful. 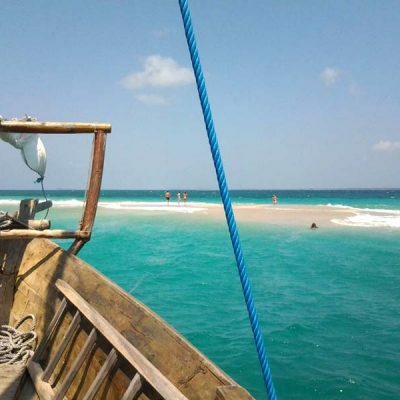 It’s no wonder people want to visit! Bottom line? If you can, don’t visit in July or August. While the weather is dry and warm in high summer, prices are the highest and it’s very busy too. To avoid hordes of tourists, the best time to visit Stockholm is June and September. For more on what to see and do in Stockholm, see Visit Stockholm, the official tourist information website. I will book mark this article for my upcoming trip. We are also departing from Stockholm for a Baltic Cruise. 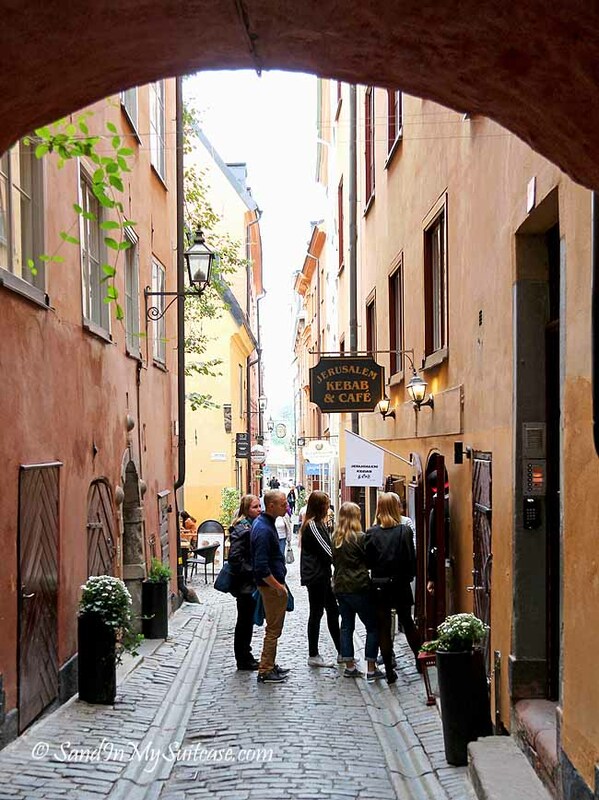 Gamla Stan sounds like a perfect day 1 after overnight flight………..and Fika will help! The “fika” will definitely help after flying overnight to get to Stockholm! Have a fabulous Baltic cruise! I liked Stockholm way more than I expected, Gamla Stan in particular. We were very lucky with the weather too. It was just perfect. The little cafés around Stortorget were my favorite place for ice cream and people watching. So much to see and photograph all around the Old Town and the port area. My husband has been to Stockholm often and I was always so disappointed I couldn’t make a trip with him. Now I know first hand what a beautiful city I missed. Next time I will have to make sure my calendar is clear! Yes, make every effort to go with him next time he visits! You won’t regret it :-). Looks lovely, love the tall colorful old houses! I have never been to Stockholm but this looks like a great area to begin exploring! You have to get lost in Gamla Stan if you visit Stockholm. Once that’s out of your system, you can venture elsewhere :-). Your wonderful post brought back so many memories of our visit to Stockholm. I agree that the city is crazy expensive but very special! I would love to visit Stockholm and Gamla Stan. Those fika sure caught my eye! 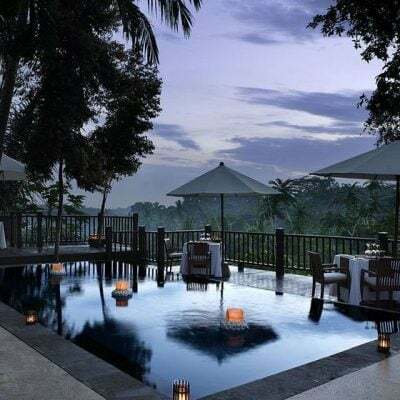 Love the architecture too.Thank you for the great post, Janice. I didn’t get to spend nearly enough time in Gamla Stan when I was in Stockholm last summer, which (as you show) is good reason to go back. Thanks for the visual trip! Glad we brought back happy memories for you. We could happily return to Stockholm too :-). Maybe it’s time for a return visit to Stockholm? Would love to visit Stockholm and Gamla Stan. Thx for the great post, Janice. Bet Stockholm has some great chocolate that needs investigating by the world’s chocolate blogging/writing expert :-). 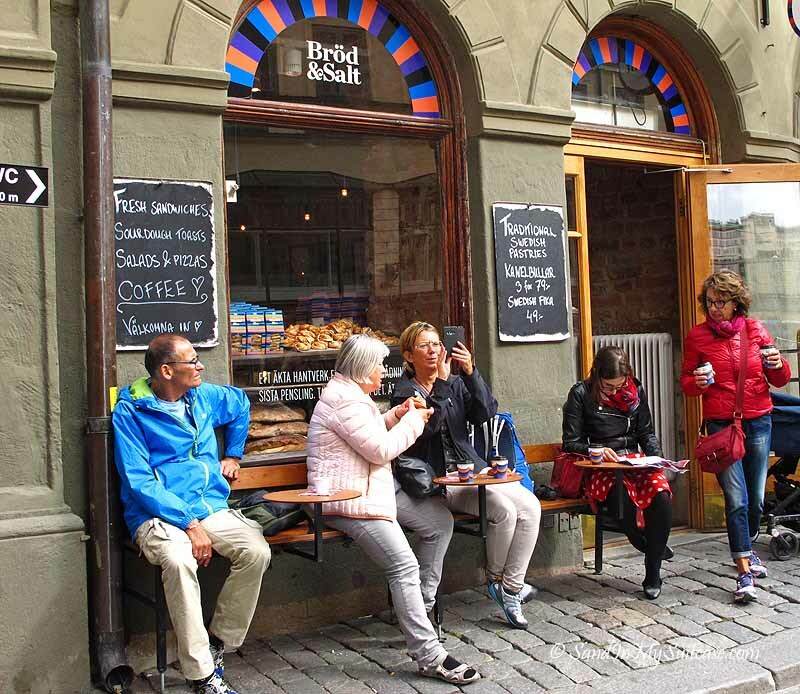 We have been to Gamla Stan several times and always enjoy just wandering, and of course a stop for fika. Your photos are wonderful and brought back fond memories. 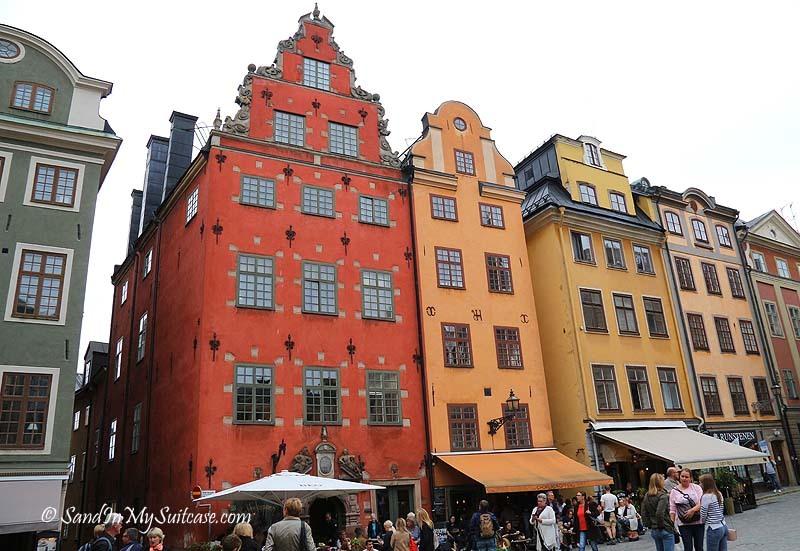 We could happily go back to Stockholm – and Gamla Stan, of course! Love those doorways above the Cafés around Stortorget. A beautiful spot for a Fika! Sounds like you’ve also enjoyed stopping for fika in Gamla Stan :-). Beautiful, love the narrow buildings. More moose per square mile than Canada? Didn’t know that. Stockholm a place we’d like to see someday. We travel bloggers must keep in touch better — Conrad and I were in Stockholm in September as well! Who knows, we may have passed each other in the square! It happened to be a lovely stretch of weather when we were there — warm and sunny. On a Sunday afternoon, Gamla Stan was peppered with young ones playing Pokeman Go. A local family with whom we chatted, said that Gamla Stan was the best place in the city for the game. So yes, many locals there for that! Thanks for the historical context, too, and great photos. A fun city! Considering that this old town in Stockholm is the most touristy attraction, it is totally authentic and still well loved with locals. I love the narrow streets and beautiful architecture of the old town. It’s quite beautiful, and as you say, locals love it too :-). Oh I love Gamla Stan! I finally made it back to Stockholm after far too much time between visits and was there for Eurovision earlier this year. Such a fun time to be there, but between all the crazy songs and fun we had some great times in the old town. and good tip on the car. Trains are so crazy expensive there that we decided to split a taxi between a couple of us. The car idea is even better for next time. We found Stockholm shockingly expensive :-). But beautiful… And we loved it too. We never took the train. Apart from the car/driver from the airport to our hotel, our transportation was our own two feet :-).